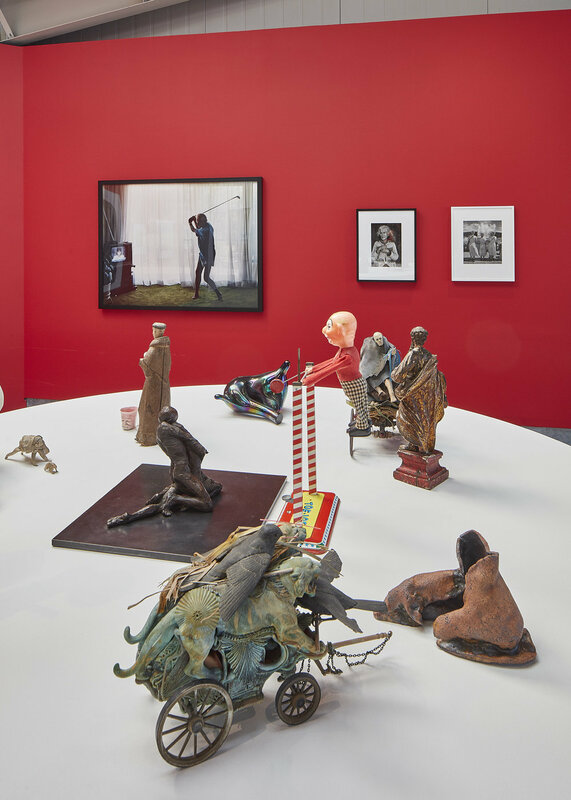 As guest curator of the di Rosa collection for Be Not Still: Living in Uncertain Times (Part 2), I chose 130 figurative works from the collection, grouped with the notion of public assembly, anthropomorphized and nodding to choreographies of protest. The sculptural works act as participants, while the 2D works, most of which are faces staring at you, may be considered witnesses, while a few have averted gazes. The viewers can choose where they stand. The groupings reference marches, vigils, riots, meetings, police lines and more. 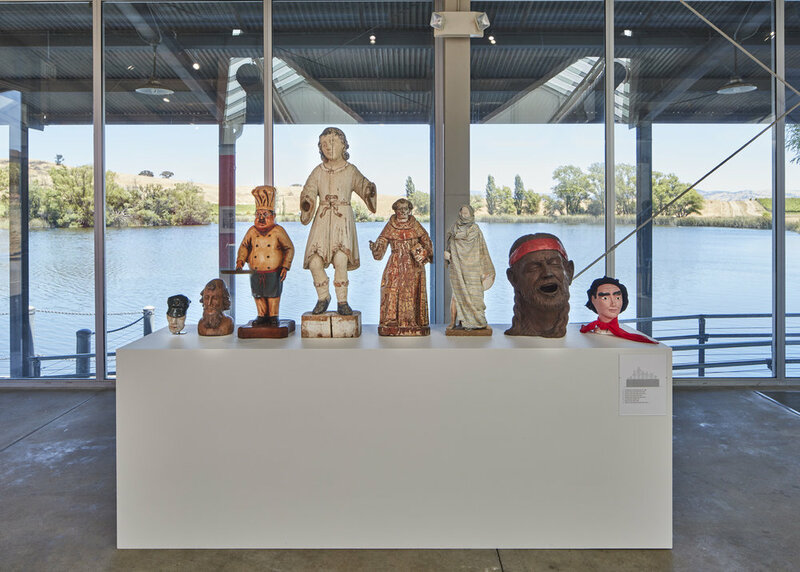 Also inserted into the exhibition are folk art works not in the collection, and works from my personal collection, questioning ideas of value in the art history canon. 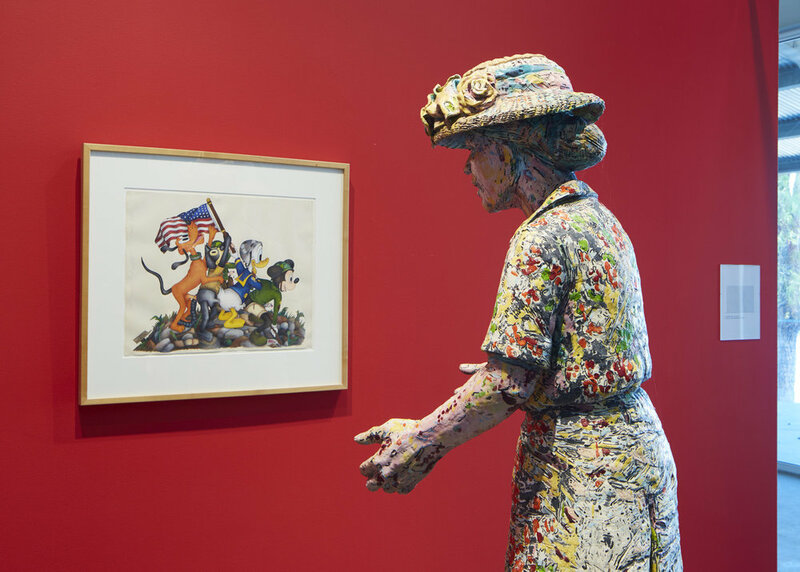 A custom mural references post-rioting fire adds a focal point in the main gallery.